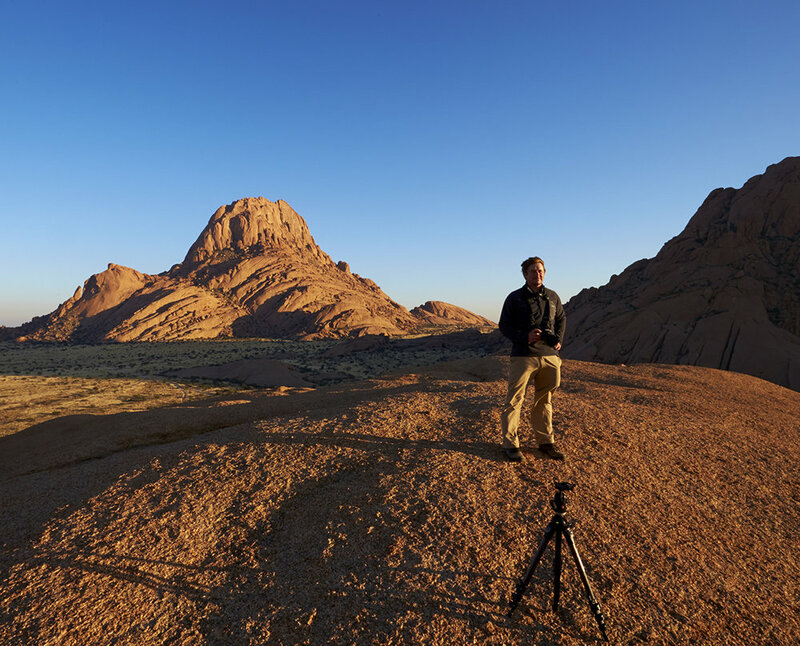 Philip creates and leads every Tao Photo Tour. He founded Tao Associates in 2002 to produce professional photo shoots. The idea of running photo tours started after he completed the first 'Everest +' documentary for the BBC in 2007. Philip is a multi-award winning photographer, lauded by the British Journal of Photography. He has produced celebrated and innovative photography for 27 years. His assignments take him around the world, be it working for top international fashion brands and journals, breaking new ground as a sport and lifestyle photographer, making challenging documentaries or giving his time to frontline charities. Fascinated by the natural world and the lure of extreme and unexplored locations, he thrives on fresh challenges. From the oceans of Hawaii to the barren beauty of Iceland, from the slums of India to the stark grandeur of Mount Everest, the colour and contrast of his work creates a unique portfolio and fuels his ambition to achieve ever better results. Philip is on each tour to offer his unique insight into professional photography, guide you to his favourite locations and discuss how to get the most out of your photography. Tim studied both the conceptual and technical aspects of art photography. He has an immense wealth of knowledge from over 16 year experience working as a Digital Operator in the professional photographic industry. This has allowed him access to the cutting edge of photographic technological development. Tim has worked with Philip for over 10 years – their combined experience and enthusiasm for photography make them an industry leading team. He has an infectious love of imagery, constantly looking for new ways to explore the beauty of the world. Tim will teach you a variety of different procedures in order to maintain control of your shots; from understanding the basics of file and colour management to the creativity of various grading techniques, Tim will guide you through processes to enable you to get the best results from your equipment and develop your style of photography. Georgia has worked with her father Philip for many years. She is a producer, art director and locations expert. Her experience isn’t limited to photography – Georgia also works in TV and film. Although she’s the youngest member of the team she’s probably the most travelled! Georgia provides her professional insight to all our locations to enable you to get the most out of your photography. We’re hoping she will also be able to join one of the 2018 tours but she’s in high demand! Ram and Philip first worked together to make a documentary on the Pheriche Hospital located close to Everest in 2006. They made two further documentaries on the Everest Base Camp hospital 'Everest +' for the BBC in 2007 and 2008. Ram has been organising logistics for climbing expeditions as well as film crews in Nepal for many, many years! He has worked on hundreds of expeditions for film projects including documentaries for the BBC, Channel 4, Discovery Channel, National Geographic as well as feature films including 'Summit of the Gods' and 'Everest'. Manfred was born in Windhoek and has had his own tour company, in Namibia, for over 20 years. He and Philip have worked together to produce all our Namibia tours. Manfred provides a unique insight into the country that he loves and will introduce you to the conservation, culture and dynamics of this beautiful, bountiful country as well as its most stunning locations. Nuri has organised photography tours in Cappadocia area for years. He has been involved in this particular Tour since 2018-He also made some documentaries, about photography, for some national channels in Turkey. He is also an award-winning photographer in the national and international scene. He teaches photography generally and also at a university in Kayseri Turkey. He loves horses and equine photography as a specific field. Nuri will be our guide for these tours and with his experience will provide the perfect platform for an incredible tour.